Big organizations often face a situation when small, highly specialized companies are unable to fully satisfy organizations’ requests due to the lack of necessary resources and competence. For the purpose of development of complex IT solutions and providing quality and instant services, we united the best companies in the sphere of information activity and involved leading scientific institutes. BASIC GROUP has incredible experience in implementing similar solutions for both state and private companies. Every project we work on has the exact set of services that will maximally boost Your organization’s operating efficiency, including all peculiarities of a market you operate on. Professionalism of our company is proved by its employees’ extensive experience and numerous innovative solutions. 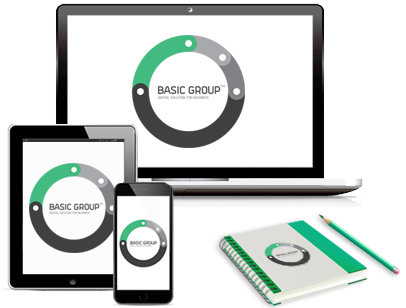 BASIC GROUP finally gives its clients a chance not to interrupt their work to solve side issues of infoware, but dedicate their time to examination of crucial aspects of your company’s business. 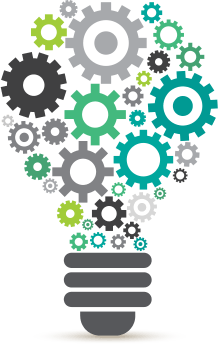 Complex approach to providing solutions regardless of the sphere of Your company’s activity. Idea of creating a new organization with a wide range of service that is not similar to any other appeared after a thorough analysis of IT market. It turned out that among thousands of offers, it’s rather hard to find a company that can create solutions of any complexity, develop such produces and provide services at a level that will leave every Customer satisfied. That’s how negotiations between leading companies in IT sphere started in order to unite the best specialist and in 2012 BASIC GROUP – group of companies that provides quality services in the field of IT, was created. BASIC GROUP consists of companies that recommended themselves on IT market, made a long way of formation, have vast experience of cooperation with the biggest companies of Ukraine and world. A wide range of services allows to develop complex solutions and satisfy any desires of a Customer. Any new project of BASIC GROUP – is a realization of new ideas, movement forward, cooperation with client that brings satisfaction and income. Basic Group – one of the leading Ukrainian IT companies, specializing in the development of complex IT solutions and provides quality services in the field of IT. Our mission – always professional approach to providing the best solution regardless of the sphere of Your company’s activity. BASIC GROUP unites the best professionals of leading IT companies of Ukraine. Every employee of BASIC GROUP – is a professional with extensive experience of work in the spheres of IT, consulting, digital marketing, certification of billing systems and telecommunication services quality, organization of online streaming, software development, implementation and support of complex IT solutions regardless of the sphere of Your company’s activity.